When I first heard Sign of the Times, I was VERY confused. As you probably guessed, I love analyzing music lyrics and I tried so hard to really understand these lyrics with almost no avail. So let's try again!!! "It's the sign of the times" denotes that something serious and meaningful is about to happen, but it is said with a negative context. 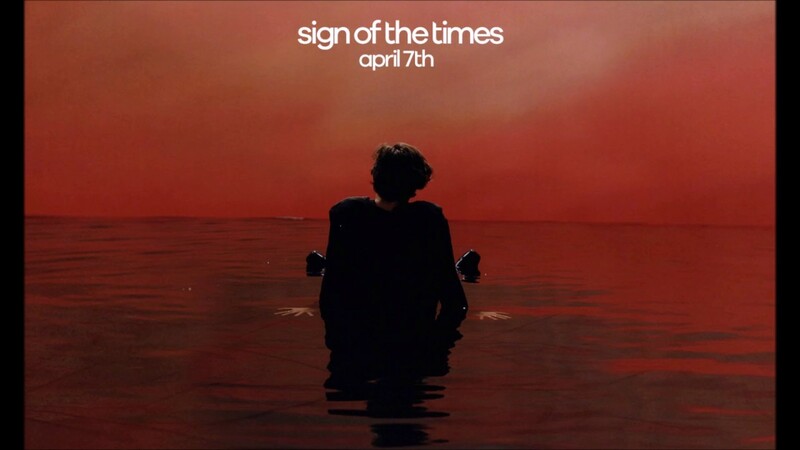 When I usually hear "Sign of the Times," I think "The world is ending." This is confirmed through "Welcome to the final show." "Wearing your best clothes" and "stop crying" suggests accepting that this is happening. I think the above lyrics suggests that the world as a whole is becoming negative. (With the mass shootings, terrorist attacks, Trump/racist policy decisions). "Bribing your way to the sky" means you can't bribe your way into Heaven. The last two lines are confusing. Is Harry saying that you might appear to be good (i.e go to Heaven) but you actually aren't and should go to Hell? Rough Stuff. A different interpretation is that he's saying you look like you are fine, but you really aren't because these hard times are taking a toll on you. You want to bribe someone to stop the hard times from happening. Here bribing your way into Heaven, means bribing your way out of a bad situation. You want to bribe your way out of the negative state of the world. You really aren't handling it well. Harry is saying one bad thing after another is happening. He can't escape the bullets, they keep on firing. He tries to avoid the harm from all the bad stuff he is experiencing, but it's hard. He also hints that maybe these bad times, are a little bit our faults with "we never learn." "We never learn," means the world never learns. The world has been fighting wars and killing each other for CENTURIES. We never learn how to get along with each other. So we as Earth's population keep on dodging the bullets from all the bad stuff that keeps on happening in the world. My favorite lyric in the song is "We gotta get away from here.' There's a real urgency and fight in that line. I think here he says we have to figure out a way to make the world a better place. "Get out of here," means get out of the mess the world has gotten us into. Every time I hear the words, "Have the time of your life," I feel like it's said with sarcasm?? It's like war and poverty and world hunger is going on but you should just ignore it and have the time of your life because you are privileged. That's just my interpretation. In the last few lines, I think Harry is imagining breaking free of their harsh world, and going up into the atmosphere. Everything is alright when he escapes the world. I think here Harry is referring to meeting in the atmosphere again. "Bribing your way to the sky," and "Breaking through the atmosphere" are all ways to escape the hard world we live in. Eventually, we will be free of that harsh world (perhaps through death??). Harry is saying we should all be kinder to each other. We should hear each other out and listen to differing view points. "It's just what we know" - Fighting is the status quo and we probably won't change. We have to change. We have to make the world a better place. Do you agree or do you interpret these lyrics differently? Let me know what you think in the comments below. If you enjoyed this post and would like to see more, please follow me on Tumblr here (https://memyselfandthemoon.tumblr.com/) or follow me on google plus here (https://plus.google.com/115251451766368724380) or look to the right to see my other social media links.